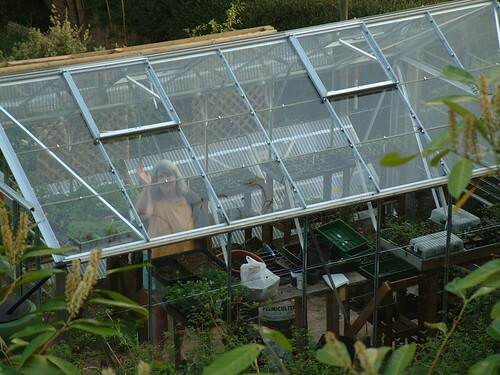 Using your outdoor greenhouse to grow crops through the fall and winter is beneficial in many ways. Not only can you save money by walking right outside your door for fresh, hearty vegetables instead of shopping at a store, greenhouse cultivation that is consistent through the whole year saves you money in the long run. 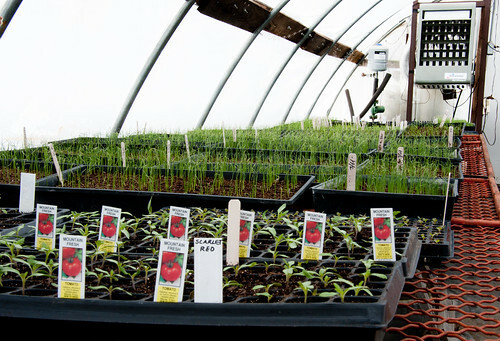 Preparing your greenhouse for fall and winter harvest is actually a great way to keep your soil at its peak fertility level. While your greenhouse provides your gardening with a frost-free climate all year long, there are some important steps you need to take to prepare for the cold weather. If you are planning an outdoor wedding, there are a lot of things to consider. Since weather conditions are unpredictable, you need to make sure you properly prepare for the best day of your life. When you cover all aspects of preparation, you can be sure your wedding will go off without a hitch. If an outdoor wedding is a part of your dreams, you need outdoor protection in case the weather doesn’t cooperate. Once you pick the perfect outdoor protection for your wedding style, you need to prepare for placement. This will ensure that your tent is effective in keeping yourself and your guests clean and dry if the weather decides to act up. One of the most important parts of your preparation is ground prep. Let’s learn more. When it comes to your outdoor wedding tent, there are more things to consider than just the size and color. You need to carefully plan out where your tent will be placed. It can be a nightmare if the crew comes to construct your party tent and there isn’t ample space or the site of installation isn’t good for what you need. Take into account all practical matters, like convenience for guests, caterers, and entertainment. Make sure your tent can be oriented the way you want it, especially if you are using a property with a view. Talk to your party tent dealer about the different options available for your use. Before the team comes to construct your outdoor party tent, be sure the area is free of any obstacles. These can cause problems when it’s time to install your outdoor protection. Make sure you don’t choose a site with trees, bushes, or stumps in the way. Remove anything that can cause the team to trip or fall and pose a hazard for your guests. While your outdoor protection will keep you from having issues with water on your big day, you can’t prevent rain from wrecking your site in the days and weeks before. If puddles or standing water have accumulated, be sure to have them removed before you set up your tent. Talk to your dealer about the potential hazards of constructing your party tent when the ground is wet since wet land can lead to sinking issues. Ultimate declutter guide can be a great help for keeping your portable storage clean. When you first look at clutter, it can be overwhelming. You may not know where to begin. Once you conquer your clutter, there are many benefits to overcoming it. Let’s get into the ultimate declutter guide for your portable shelter. Your life becomes less stressful. Clutter can serve as a visual distraction that causes stress in your life. It’s a constant reminder of things you need to do. You might want to ignore you bills, laundry, piled up junk, but clutter is a constant reminder of things you can’t ignore. Many people work better in an uncluttered home or workspace. Less distractions mean better focus. Uncluttered homes and workspaces are more peaceful and can help you relax. A decluttered home is more attractive if you are trying to sell your home. It is also more inviting when visitors arrive. Decluttering frees up space. Less clutter gives you more space to live, play, and work. Here are some ultimate declutter guide strategies that can get you started. Set a timer. The first piece of advice in our ultimate declutter guide is to block off a specific amount of time for your project. This will reduce some of the overwhelming feelings you may have. It can also create a sense of urgency that helps you get down to business. Whether it’s one hour or six hours, stick to the timer and spend as much of that time as possible working on your project. Once you start to see a difference, it’ll give you the motivation to keep going. Create a starting point. Begin with one area of your space that is a no-clutter zone. Make a rule that nothing can be placed there until you organize and assign your belongings. Slowly expand this area until it covers a larger amount of space. Section things off to help organize. Another successful tip in our ultimate declutter guide is to set up four boxes to begin your project. Each box should be designated for a different purpose: one for trash, one for donations, one for storage, one for relocation. Clean out your closets! Closets are a major collector of clutter. When you begin to tackle your closet, you not only rid your house of excess clutter, you open up storage space for clean other areas of the house. Donate clothes you haven’t touched in six months. Organize the items you plan to keep. Just as with your indoor space, the ultimate declutter guide is a great resource for your portable shelter. Portable shelters can easily accumulate a great deal of items. Whether you use your portable shelter to store your vehicles or as added storage to your home, they should be cleaned regularly. If not, you can end up with a bigger project than you want to have to handle. Similar to indoor space, setting a timer, sectioning off items, and getting rid of bags immediately of items you wont be keeping is the best way and most successful way to handle this project. These are just a few important steps you can take to declutter your space. When you follow our ultimate declutter guide, you’ll be on the fast track to making the most of your portable storage space. Living in a cleaner less cluttered space will lead to a happier more productive life. When it comes to cost, you want to have the option to buy quality products without breaking the bank. Too often we purchase products that are less expensive, only to find out that the quality is seriously lacking. On the contrary, many times you purchase a product out of necessity but are forced to pay prices that are through the roof. Are you thinking there must be a solution to this common household dilemma? Well, when it comes to portable shelters, there is. Our products are factory direct. That means you will save up to 60%, but get the same high-quality product that is being sold at stores for sometimes more than double the price. Here’s how! One of the most confusing topics to understand is the difference between factory direct and wholesale. When you are looking for a product, or if you are a reseller, it can be a task to try to decipher the difference between wholesale and factory direct. The bottom line is this. Factory direct comes straight from the source. Straight from the source means major savings. Why? Ordering from a factory eliminates the middle man. Since the factory produces the product you are buying, you can still get exactly what you want. In fact, you are getting the exact same product that costs a great amount more in the stores. When you break it down, it makes complete sense. Here’s an example. If you purchase one of our portable shelters from Home Depot, the store has to bump up their prices. Why? Because they purchase their products from our factory. If they didn’t turn around and add to our prices, they wouldn’t be making a profit. Therefore, they would be out of business! · Custom Orders. Trying to make a custom order through a distributor or retailer can be a pain. Often there is a lot of back and forth only to find out you aren’t getting exactly what you wanted when your product comes in. When you place an order direct, you get what you want with a lower chance of mistake. Additionally, you can give suggestions to improve price, functionality, and performance. · Faster Turn Around. When you buy factory direct, your order will be processed immediately. You won’t have to wait for the product to be shipped from place to place before it heads your way. · Better Service. The service that comes with factory direct is second to none. If something breaks, or you have an issue, customer service is available immediately. This leads to better experience. · Less Paperwork. Factory direct means fewer agreements, fewer signatures, less documentation, and less paperwork. You will save time and space. · No Hidden Fees. Import/export fees, inspection surcharges, and sourcing charges are just a few of the added fees that come when you buy from a retailer. With factory direct, you skip all these fees. · Unmatched Product Knowledge. Most suppliers know very little about where the product they are selling comes from. When you buy directly from the factory, however, you can get help from someone who is involved in design, development, and production of the products. They know the process from the start of your product build until it leaves the doors to your possession. The advantages to buying factory direct make the decision simple. If you want to purchase a product at lower costs but with the same quality and even better service, this is your way to go. At Rhino Shelter, we pride ourselves in offering our customers the accountability and integrity they should get from everyone with whom they do business. Galvanized steel is a durable, dependable form of steel that can be used for portable shelters. One of the most important components of portable shelters is the steel frame that holds them together. Different companies use different forms of metal to construct their shelters. At Rhino Shelters, we use the highest quality products to ensure our customers get the most out of their investment. Most manufacturers choose to use a less expensive option to make more profit on their shelters. Portable shelters made of galvanized steel can withstand the harsh elements of weather longer and better. Galvanized steel is common in the metal industry. What makes galvanized steel better is that it has been coated with zinc to make it resistant to corrosion. Regular steel can rust if it is exposed to moisture. Galvanized can handle harsh weather conditions like rain and snow because it will not corrode when exposed to the moisture. Stainless steel and aluminum are other metals that are commonly used. While these are both more expensive options, they are not often a good option for portable shelters. Stainless steel has physical characteristics that prevent it from being flexible. Portable shelters are built to be relocated easily. With stainless steel, it is not likely that you can safely disassemble and reassemble your shelter. Galvanized steel is the best option for strength, portability, and durability. Because shelters are often used to protect items from the effects of weather, you need a shelter that will not corrode when exposed to moisture. Galvanized steel is not only strong and durable, it will not rust over time. This makes it the highest quality option for construction of portable shelters. Portable shelters are used in many ways. From storing vehicles to providing extra shelter for outdoor equipment, people are always finding new ways to utilize their portable shelters. As winter approaches, it can be a huge help when you have extra space on hand to store your winter tools. Although outdoor storage space is perfect for snowmobiles and snow blowers, many clients use their shelter to store firewood for the upcoming cold winter nights. You’ve worked hard to gather, split, and stack your firewood. Your family is excited for all the memories they are about to make as you all gather around the fireplace to keep warm during the holiday season. Now it’s time to protect your firewood after all your hard work. Once you have enough firewood to last you through the winter, these tips can help make sure you get through. Store your firewood in a location that is convenient. Easy access to your firewood will be helpful when you want to keep that fire going. Keep in mind that logs left outdoors can attract insects. When you store logs next to your home, insects can collect on the wood and enter your home. When you store your firewood in a portable shelter, you will protect the wood from infestation. The best time to collect firewood for winter is in the spring. This will give you seasoned wood that is dried of moisture by the time winter months roll in. The heat and sun of the summer months can help to remove moisture from your firewood. Once you have gathered your firewood, you will want to store it in a place where it is protected from moisture. Portable shelters allow you to keep your firewood dry, so it will burn efficiently when you need it. When stored directly on the ground, firewood can collect moisture and attract unwanted insects. Elevate your firewood to promote proper air circulation and avoid moisture build up. You will also deter pests and wood rot. When you properly store your firewood, you will have easy access to quality wood without the pests. Portable shelters come in all shapes and sizes. They are the perfect option to ensure you will have long burning, low emission fires through the entire winter season. A portable garage shelter is important if you need to protect your vehicle, especially if you don’t have any garage or carport at your home. The primary purpose of having a portable garage is to provide a complete and reliable shelter for your vehicle, protect it against the changing weather conditions and from the harmful UV rays. Through the years, the unique methods of car protection have become quite inventive, like using a cover for your vehicles. Indeed, this can be an effective way against the heavy rainfall. But a simple cover cannot protect the top surfaces of your car during a strong wind and storm. And the damage inflicted on the car can significantly cost a lot. That’s why having a portable garage carport is an inexpensive and practical solution to your needs. Portable garage shelters are helpful because they can be moved to various locations as needed. They can also be used for temporary storage or even shelter from the weather during any outdoor gatherings. It is also much more practical for several reasons than building a traditional garage which requires large amounts of money and potentially, a lot more space. If you want to see more variety, there are several types of portable garage shelter that you should definitely consider. The peaked roof portable garage is the popular type of portable buildings on the market. From common portable shelters like carports to smaller portable sheds, this design is popularly used. There are cases where polyethylene side walls aren’t included in some carports, however, the polyethylene roof is enough to protect the vehicle. But if you need all-around protection for your seasonal vehicle, then your shelters can be designed with polyethylene canopy walls. This is usually a standard design for those smaller portable sheds. The peaked roof portable garage is taller than normal and is probably best used as a carport for a medium-sized truck or boat storage. However, the principal characteristic of a peaked storage building is its sturdiness and galvanized steel frame, which includes pins that help maintain the shape of the building. Another great quality is the door, which has full-width double zipper doors for simple access. The second style of portable shelter is a barn style portable garage. Typically, this type of peaked shelter works just like the ordinary peaked garage, except it has a greater and wider structure. Because of the shed-like design and barn-like structure, these shelters are typically used for storing farm equipment along with vehicles. Having one of these barn shaped shelters can definitely store both regularly used and seasonal used farm equipment equally and safely. Portable barn shelters are built with heavy-duty structural steel along with durable polyethylene covers that are designed to last the long-term weather exposure. You can choose from different heights, widths, depths, styles, and colors to meet your specific requirement. In addition, valuable storage can be achieved for just a fraction of the price with these types of portable garage shelter. With its distinct characteristic, this rounded surface is more than what it looks. Specifically, when loads of snowfall on top of the shelter, it will slide down to the ground easily. Having too much snow piled up on top could result in the collapse of the shelter. For any buyer, the rounded frame can be a great solution for the changing weather condition. However, some portable shelters are hardly enough to support a vehicle's height, and others wide enough to house two or more cars at the same time. In any instance, choosing the right width, height, and length of a portable shelter is important. Winter is that time of the year where a homeowner puts their vehicle in for storage, and it remains there for a couple of months. Rather than changing the side walls and door panel of a peak shelter, the rounded portable garages are already equipped with those important features. The polyethylene cover arches from one side and to the next, providing just the right amount of protection to keep out moisture and harmful UV rays. Understand what type of portable garage shelter you are looking for. Maybe you just need space to park your small car or need ample space to store your equipment and vehicles, such as your truck or boat. You also have to consider the size, color and roof style of the portable shelter that will suit your needs. Decide on the type of material you want for your portable garage shelter. Do you need fabric or those metal ones? In comparison. portable metal garages are way more expensive, harder to set up and less flexible than compared to portable fabric garages. But they are more durable and can protect your vehicles much better from the extreme weather conditions. Consider investing in some additional add-ons for your portable garage shelter. You can add light on the roof of your carport to provide light during night time. You can also install vent kits to keep dust and moisture away. Remember that a portable garage shelter is the most efficient and affordable option for your storage needs. Attach a security camera to protect your valuable properties against theft. With the extreme weather conditions and the changing climate, it is essential to ensure that the livestock like the cattle, horses and other farm animals, have appropriate shelters to protect them from the cold and wind. The changing weather patterns may reduce the animal’s temperature to below critical level, which can heavily result in a decrease in weight gain and may eventually cause more harm to your farm animals. Having livestock shelters can help improve your animal's’ health by protecting them from the cold winds and blizzards and provide shade from the intense heat of the sun. A lot of animals can tolerate a broad range of temperatures if they are well taken care of and have adequate food and water. However, a proper shelter can significantly improve the welfare of your animals and reduce any production losses. Animals without shelter may suffer a lot. For some animals, the outcome may eventually get worse. So it’s vital to give your animals proper shelter. Regardless of the type of shelter or shade that you use for livestock, giving them enough housing can ultimately improve productivity and maintain good health throughout the cold months. Portable shades can be built from a galvanized steel frame and layers of fabric which keeps the inner materials of the fabric from breaking down over time. Portable livestock shelters are quite adaptable as it can be moved to different locations if the shelter is not needed in the area anymore. These structures can be entirely or partially disassembled when not needed. Livestock shelters are also designed to be naturally flexible and ventilating. Generally, a portable shelter is recommended to have layers of fabric for maximum comfort and protection. Portable structures may be built with pins to keep the end arches from spreading apart and causing the shelter to break. The pins can help support the shape of the structure and, most importantly, keep the shelter from spreading farther apart than they should be. It is also necessary to ensure that the frame can withstand any movement or rough-housing the animals may cause. Be cautious about the size of a portable livestock shelter, especially for those that will be moved from time to time. Keep in mind that the amount of housing provided should be enough for all animals to access it at the same time to prevent overcrowding. Allow moisture to run off and secure it adequately to avoid any excess movement or destruction from the extreme wind. Often times, animals cannot adapt to certain temperature changes. Cold stress can increase an animal’s need for energy to maintain their body temperature from functioning. Studies showed that an animal's’ energy can significantly increase during the cold winter months. Animals in low body condition - Cold stress has shown to decrease the rate of absorption in low body condition which can harm their immune systems and can contribute to early death. Sick animals -They need to have proper shelter, as even the strongest and healthiest animals can die if exposed to severe weather. Newborn animals - Newly born animals are at high risk during cold climate due to their relatively small size. By providing quality shelter and increasing highly nutritious and digestible food, you can help livestock maintain normal body temperature and production, minimizing the harmful effects of cold stress. If you are in need of some of the best quality portable livestock shelters in the market, Rhino Shelter is the answer. We use only high-grade materials in all our products. In addition, our frames undergo a process of hot-dip galvanizing method that will ensure the longevity and safety of each product and ensure maximum safety for years to come. If you are looking for a portable shelter that is sure to last for years, our portable shelters are the way to go. We also provide a wide variety of options to help you get exactly what you are looking for. Our range of sizes allows you to find the perfect size for your animals, from horses, cattle to goats. Not to mention that all our shelters are portable and adaptable. You don’t have to worry about not being able to take your shelter with you wherever you go. Contact us today at 800-447-7079, and we will gladly respond to any of your questions. You can also reach us by emailing us, and we will get back to you as soon as possible. A garage is the one part of the house that most people usually ignore. We toss our old clothes and items in there. We pile our yard tools on top of each other, randomly stack shelves and boxes, and have about a dozen junk. In the end, it’s left untouched and unorganized. It really is hard to get motivated when your garage looks like a dump. And the last thing you want to do is waste minutes looking for an item you need. Your garage is probably one of the biggest rooms in your house, so it's important to select an adjustable storage system that allows easy access to your most valuable items. If your garage already has no room to store a car, don’t worry. You can start organizing a garage without any worries. If you organize your garage, it can help you know exactly what you have and where it is placed. Most people who have a lot of tools don't have the money to get some additional space. Fortunately, with a few simple storage ideas, you can keep your garage clean and well-organized. Here are easy and brilliant garage organization ideas that will surely make your garage completely organized. Pick a day when you want to start pulling everything out of your garage and into your yard. It can seem productive to tackle one single corner at a time. Just by getting everything out will help you assess what you already have and what you need to take out. Keep in mind the limited space you have and stay motivated to organize your garage as much as possible. It’s better to draw out a plan. Take necessary notes and measurements of your windows and doors and other utilities. Also, determine how much space you'll need if you have a car. Here are several things to consider. Garden tools work best near the door. Mark out zones for storing things. Seasonal items can be kept hidden in bins. Trash and recycling should be within reach. Some zones might overlap using overhead shelves or storage. Once everything is out of the garage, it’s time to start sorting everything into its proper place. You can purge once, then go back in the garage and purge again. Start throwing things that you don’t need anymore. For items that you're about to get rid of, sort it into three piles: toss, recycle and donate. After you've sorted it out, clean your garage from top to bottom. When it comes to tools, consider what you use frequently and what can be stored for some time. The most important thing when organizing a garage is to examine the space and determine what items should or can be stored together. Depending on what items you have in your garage and the number of items you need to store, you may be faced with some interesting storage difficulties. Consider the type of storage option you’ll need and assess how to organize your garage. Gather all storage containers and hooks and get them ready for use. If you sort out carefully and cut down to just the necessary items, you can arrange everything clearly and easily. Once you have a plan set out and you've selected your storage options, it's time to start getting things back in place. Here are some ideas. Use plastic bins to see what's inside and keep everything dust-free quickly. Keep lawn and garden tools off the floor with an adjustable wall system. Small cabinets can be multifunctional by using it as a workbench. Consider getting a garden shed and moving the yard tools and supplies there. Place your trash and recycling bins within easy reach. Hooks are also ideal for hanging bikes out of the way. Use handy pegboard for a custom layout of hand tools and storage containers. One of the best ways to make the most out of your portable garage shelter and maintain it organized is to have a portable storage shelter. The main benefit of a portable shelter is it’s built specifically for your space and designed to meet your needs. We all have distinct lifestyles, which can result in different storage needs and requirements. By creating something based on your individual needs, you get the perfect storage solution to help your garage stay organized throughout the years. At Rhino Shelter, we provide quality portable shelters and garages of different sizes, and we work with you to create the perfect fit. You can choose from a variety of shelter options for the ideal garage storage system you need. Now is the perfect time to organize your garage and buy a portable garage shelter. For expert shelter and storage needs, call us at 800-447-7079 today!